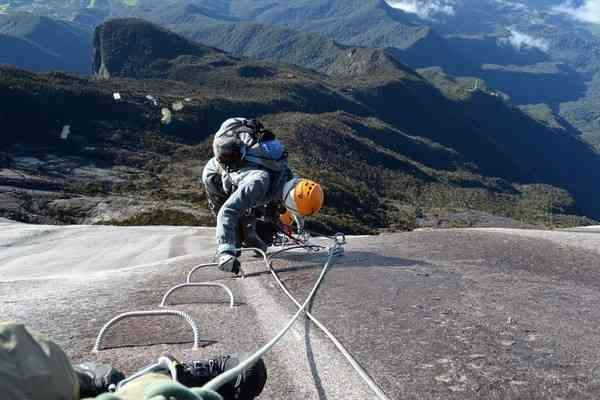 Singapore Alternatives: Mountain Climbing not for 12 year old kids! First and foremost, my deepest condolences to the families of the students and teacher who died from the Sabah Mount Kinabalu Earthquake. I believe those students and teachers who survived the tragedy must have suffered tremendous trauma and I hope that psychiatrists are sent to provide the necessary counseling to help them overcome their traumatic shocks and pain. This article does not seek to pin point the fault of earthquake death to anyone. It is true that no matter if you are adult or a child, you are subjected to the same risk to death from such sudden act of nature. However, there is really much to fault MOE and the school for approving or allowing 12 year old kids to go on such "Mountain Climbing Expedition". The common excuse given was that the Primary School has been conducting this expeditions for the past few years without incidents, so we should assume there is nothing wrong in having such expedition for 12 year old kids. This is absolutely wrong argument to deflect responsibility for both MOE and the school. It is like saying you have won a few rounds from Casino and thus, gambling in Casino is absolutely safe! The other flawed argument is that when we walk on the street, we also face risk of being injured or killed by car or other accidents. The key thing is, you do not have a choice to face such risk in our daily life but we do have the choice whether to allow our young 12 year old kids to face unnecessary risks for such expedition! Some people say that we do not want to cultivate kiasu kiasi (timidity and cowardice) people so we should continue to support such expedition for 12 year old kids. This is totally wrong perspective. We should not cultivate the mindset of recklessness in the bid to look for gungho (overly tough) training for our kids! We should cultivate the middle path, to take calculated risks and how to deal with risks. What is risk? What is Risk assessment and management? We face risk everyday, with or without knowing it. Some risks we can afford or mitigate it with some training or preparation (like teaching kids how to cross roads, take public transport, take escalator...etc). But there are some risks cannot be mitigated due to age. Eg. Driving for 12 year old. Age may be a multiplier for risk factor. Eg. asking an 80 year old man or 12 year old kid to climb mountain as compared to 20 year old man. Why 12 year old kid is unsuitable for mountain climbing in general? I have been active in outdoor adventurous activities in my younger days and I have brought a number of groups of students of age 17 to 18 to climb mountains. As trainer, instructor and leader of such expedition is always taxing because you know that you are responsible for more than 10 young lives. Their parents have entrusted you their lives and expect you to deliver them back, safe and stronger. Ironically, as an adventurer, we have to be extremely paranoid when it comes to planning and putting up safety measures and contingencies. First criteria for a safe and meaningful expedition, is to have only suitable participants for the trip. They must not only be physically and medically fit, but also mentally prepared for all sorts of emergencies. As the leader of the expedition, we have to believe in Murphy's Law, what can go wrong, will go wrong. Participants for mountain climbing expedition must also be able to take care of themselves as well as others, in times of need. They must be able to conduct first aid, search and rescue mission plus evacuation on their own. They must learn jungle survival if they are lost or stuck in the jungle for whatever reasons. Instructors and leader of the expedition are also human and unfortunate things may also happen to us; be it injury, comma, death or otherwise. The participants are expected to have the ability to save our lives as well! On top of strenuous physical training, there are a whole list of skills for participants to learn (rope skills, jungle survival, first aid, evacuation drill, map reading, contingency drills etc etc) and those instructors are expected to know their stuffs as well. They are not just some "lobo" nannies but expected to be proficient in the various skills as well. Thus I was surprised that 12 year old kids were allowed to take part in mountain climbing expedition to Mount Kinabalu! They would have failed the basic fundamental risk assessment of being unsuitable participants. They do not have the necessary physical and mental build to deal with any emergencies, least making evacuation plan. 1) Place of conduct. Is it under controlled environment with easy access to main evacuation routes? Isit deep in the forest, high up the mountain? 2) Terrain. Is the terrain easy or tough? Water? Height? Rocky? Thick forestation? Generally speaking, terrain with water is considered medium to high risk. A 12 year old kid may know how to swim well in a controlled environment like swimming pool but the risk factor will definitely be extremely higher when it comes to sea, with uncontrollable natural forces like under current. Physical strength will be vital for survival if the undercurrent is strong. Thus, age plays a very important role in risk assessment. Similarly, for steep mountain climbing, age will matter a lot because unlike simple flat terrain trekking, going up and down the ridges add risk of falling to death or injury. Most 12 year old kids have not developed their body fully and the risk of falling off the trail gets higher. It may look deceivingly easy and safe, but it is not. 3) Weather. Adverse weather has different impact on people of different ages. Young kids are more prone to slip and fall during wet weather. 4) Preparedness. Are participants well trained and prepared for the activity? Are the instructors well trained to deal with emergencies and contingencies? Even for my Ventures and Rovers scout troop which consisted of 17 to 18 years old JC students, we start right from the basics instead of jumping right into relatively higher risk mountain climbing expedition. A progressive training process is planned, right from simple camp craft learning, rope skills, map reading, jungle survival, first aid, simple leisure camp, annual training camp, then towards training for mountain expedition...etc. This process may take up 9 months. For the instructors, we will have to do recce of the site, meaning, we have to conduct our own climb along the route a few weeks before the actual climb. This was done no matter how familiar we were with the mountain because terrain may change drastically over short period of time. So if anyone tell me these 12 year old kids are suitable to climb Mount Kinabalu because they have gone through some 3 months of physical training, I say you must be either kidding or insane. In my view, these 12 year old kids have neither the required physical and mental build, nor the necessary training to go for this mountain climbing expedition. They are only suitable for the low risk camping activity in controlled environment aka, a designated campsite. If the idea is about "leadership training", there is no necessity to go for a mountain climbing expedition. In fact, mountain climbing does not provide much "leadership training" as compared to a properly conducted training camp in a designated campsite. It is through such training camp, with a higher level of difficulty, that we select the new generation of leaders to lead our scout troop. We do not identify or choose the new leaders through the mountain climbing expedition. 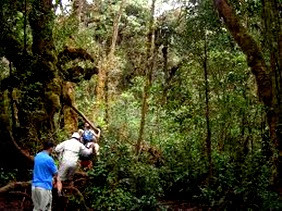 Trekking along slightly dense forested terrain with uphills and downhills., away from road access. The number of days you spent in the wild will also increase your risk exponentially, mainly due to fatigue which will result in loss of focus and concentration power of the mind. Age will also matter. For example, if you put a 12 year old kid to enroll in activity which may be medium risk, the nature of risk may just shoot up to become HIGH RISK instead. Thus it is only wise for planners to choose their activities carefully in accordance to the age of participants. I do not think 12 year old kids are ready for any activity which is in the category of medium risk or above as we need to take into consideration that due to their age, the risk factor may just increase exponentially. In my view, they are only suitable for intermediate risk and below, which may be considered as medium to medium high risk to them already. 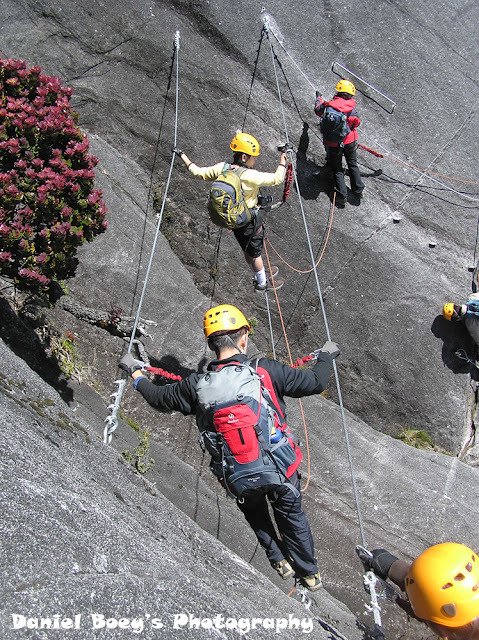 Thus you see that to allow 12 year old kids to go for Mount Kinabalu climb is to put them on extremely high risk outdoor activity. Is it prudent for MOE to approve such activity for Primary school kids? I seriously wonder how MOE do their risk assessment. Are they totally ignorant of the multiplying effect of risk due to young age for such outdoor activities? Are they totally ignorant of the risk involved in mountain climbing? Height and gravity can kill! Not to mention rocky mountains! Are MOE so naive to believe fully on commercial information of tour agencies without doing their own due diligence by engaging independent expert knowledge or assessment? Are MOE so silly to believe that 12 year old kids are fit to climb mountain when SAF only enlist males for National Service at 16? MOE has the greatest responsibility as the gate keeper of safety for any excursions conducted by schools, especially Primary Schools. It owes its responsibility to the parents who entrusted them the lives of their children. It is ironic that as an education ministry, it doesn't understand the limitation of age and the need of progressive cultivation at all. Allowing students with unsuitable age to engage in high risk mountain climbing activity without any progressive training is totally irresponsible and unacceptable. That is totally insane. Risk management is to mitigate or reduce risk. Even my 12 year old daughter understands that. But to send 12 year old kids to high risk mountain climbing expedition is not reducing risk but instead, increasing their risks to unacceptable level! I hope MOE should stop all these nonsense immediately. I would grudgingly agree to let students of 16 years old to engage in intermediate mountain climbing (I started my first mountain climbing at 16 as well) but for any age below that, it is definitely a big no. Even for that age, a progressive training program should be put in place to prepare students for the climb. For those who keep defending MOE or the school for such insanity, think twice before you do say anything silly. 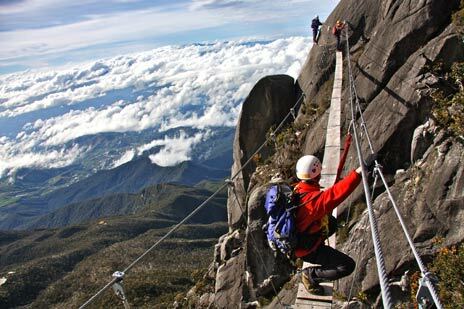 Would you dare to try it out yourself or send your 12 year old kids for Mount Kinablalu climb again? If yes, good luck to you. You will really need that. Cannot make it argument. What you have written here is basically flawed. Based on your understanding without proper research. Very well written! GMS please ignore these white dogs. They are just out here to defend their masters. It is just common sense that we don't even allow our 12 year old kids to go swimming alone or cycling on the streets. It is really amazing why MOE think that mountain climbing is suitable for 12 year old kids! There is a time and place for everything. Do you think writing this article at this point in time is okay, considering that those affected parents are still mourning and will be for a long time coming. This is a decently written article compared to the drivel I have seen on other blogs, but the timing is just not right. There is nothing wrong with the timing of this note by Goh compared to those notes (obviously by the PAP IB and motivated by their concern for losing more votes) defending such trips for 12 years old! Every letter in the ST forum is for it. I have not come across a single letter that offers the opposing or alternative views. This cannot be coincidental! Anyway, IMO Goh is knowledgeable, he knows what he is talking about being a scout. I am not sure scouting nowadays is like that any more given the overarching emphasis on National Education and brainwashing by the govt. I too was shock to learn that 12 years old students have been climbing Kinabalu. I had done it with friends as a young adult and it certainly was NO WALK IN THE PARK as some pro-PAP people would have you believe. Even without the earth quake danger there is the ever present issue of stormy weather above the tree line on Kinabalu. My group was caught in an electrical storm and it was freezing cold up there when the rain soaked through your clothes. 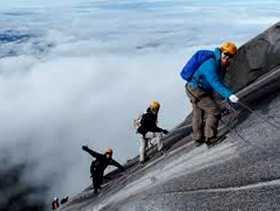 I believe many people don't know how high is Mount Kinabalu. It is 13465 feet above sea level !!! (4000m) It is highest mountain in SE Asia, even higher than Taiwan No.1 mountain of Yushan at 12800 feet. It is also higher than all mountains in Indonesia. Indonesia highest mountain is only 12500 feet. 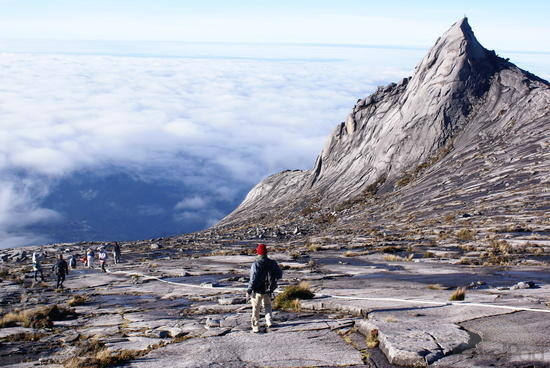 The only mountains higher than Kinabalu are the mountains bordered with Myanmar and China , which is 19000 feet. It is complete insane and madness to ask children at 12 years old to climb such a dangerous mountain. I believe MOE thought the mountain is only 4000 feet, it is not !! it is 4000m (13465 feet)!!!!!!!!!!!!!!!!! !